After Geoget addon comes new addon – GSAK database. Do you know GSAK (Geocaching Swiss Army Knife)? 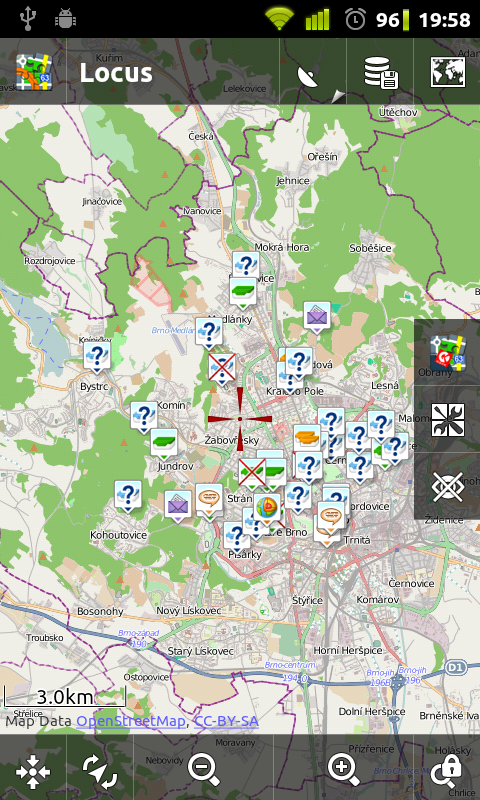 GSAK is geocache manager, where you can manage your final waypoints, add notes or waypoints to geocache or import/export geocache from/to GSAK. It”s simple – install plugin (from Android Market), copy your GSAK database to SD card, setup addon and run Locus. And just import geocaches. Add this addon on right-side panel and click on it. 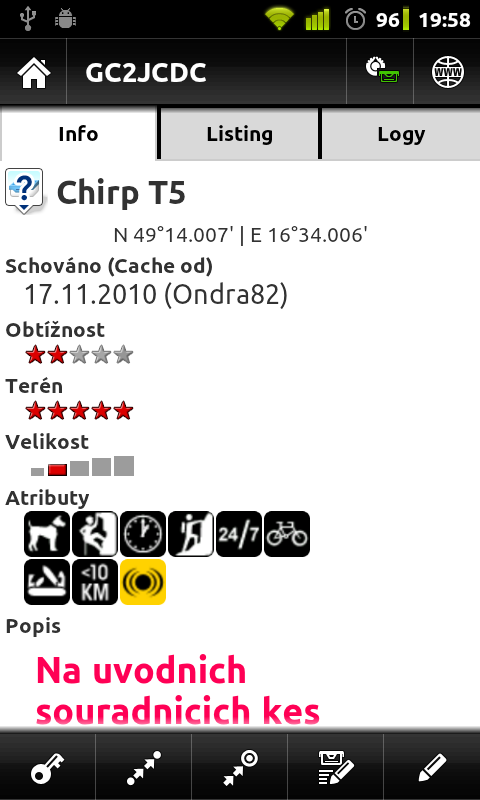 Or tap on map (hold finger), select last icon in bottom menu – Settings and select Load GSAK geocaches.